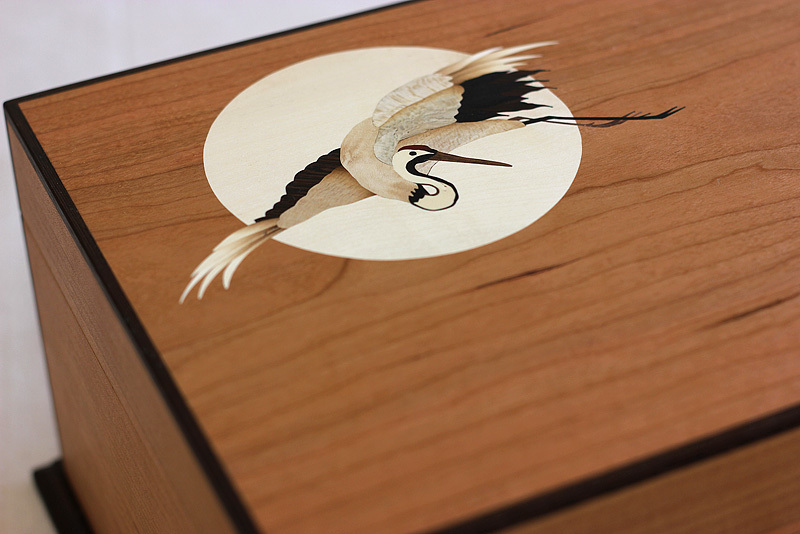 There has been lots happening in the shop lately, and I wanted to report on a couple projects that I felt particularly good about. 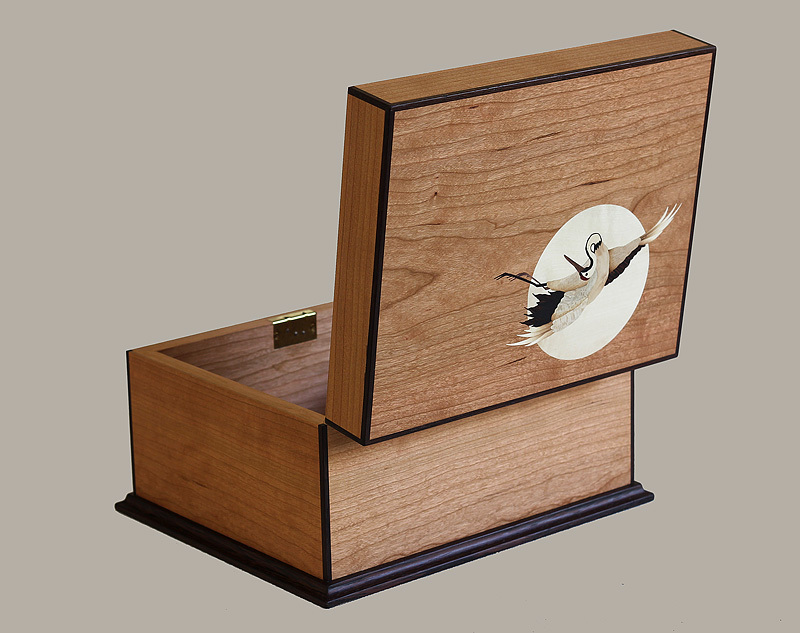 The Flying Crane Reliquary is a box that will contain the client’s loved one’s cremains. I feel privileged to be able to do work that holds such personal significance. These days my sidekick in the shop is a vizsla dog named Zak. 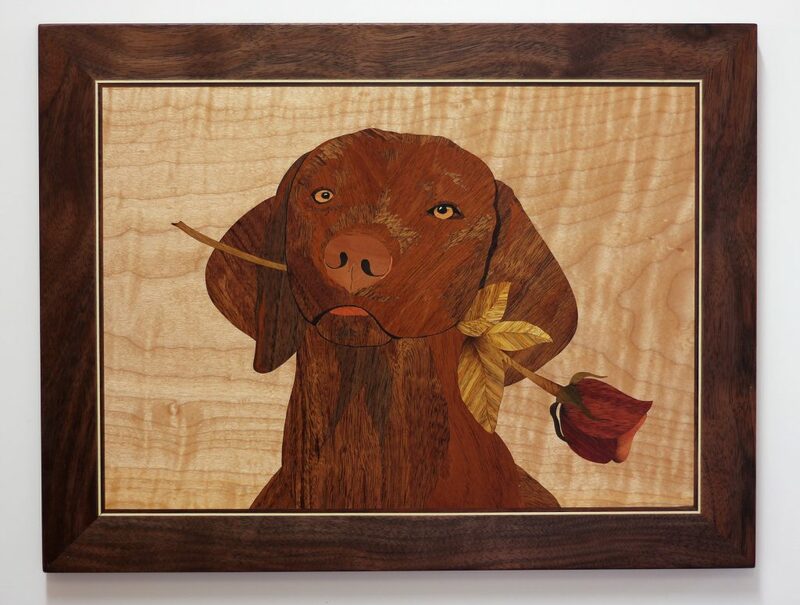 A recent commission combined my love of this amazing breed, with my passion for woodworking and marquetry in particular. 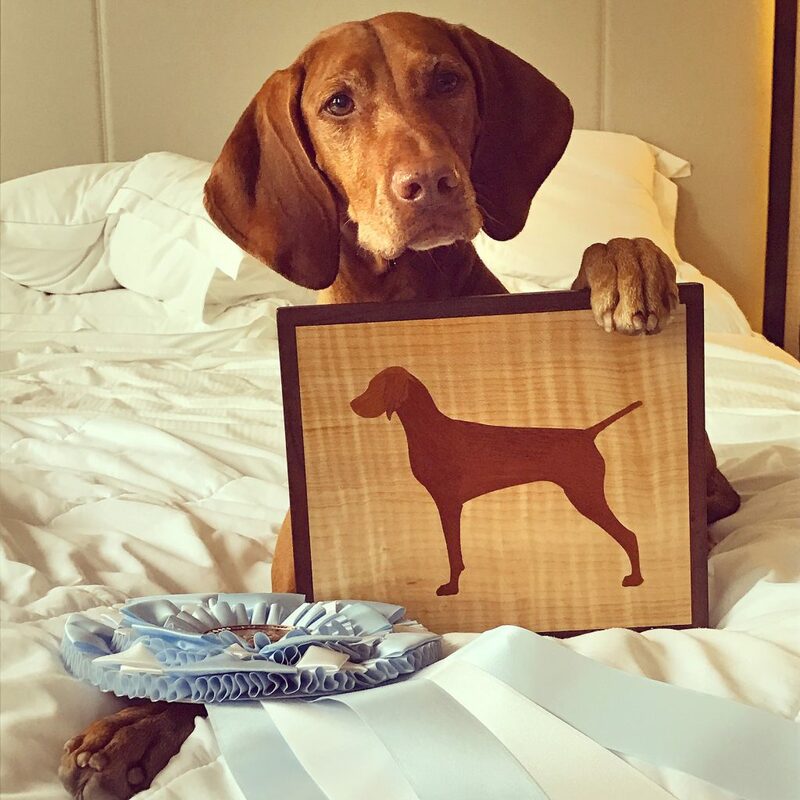 The Vizsla Club of America held its annual show in Del Mar, CA this year, and I made trophies for the winners in a variety of categories. 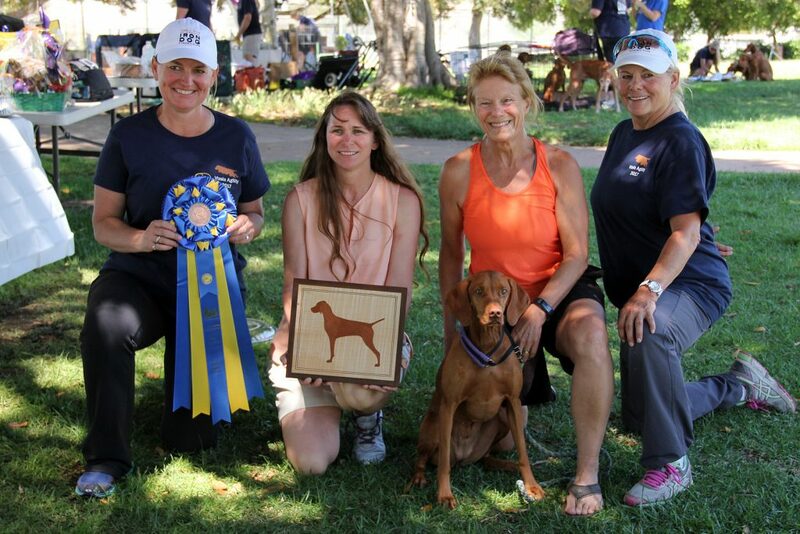 Below is a photo of one of the winners displaying her awards, and below that, the winner of the agility trial.